The restructuring of Army was approved recently at the Army Commanders Conference (October 9-15) albeit media reports that two Army Commanders had their reservations. When the news first broke out about restructuring plans of the Army Chief after more than 18 months of his tenure, the focus was to cut costs and reduce the manpower by 150,00-200,000. Change from MoD to MHA, funding the Rashtriya Rifles (RR) on lines of Assam Rifles was accepted by government years back but has mostly remained on paper. Current status is not known but in 1997, MHA owed the Army 950 crores for the RR. The budgetary outlay for the force was 263 crore in 1998–99. This was upped to 375 crore in the revised estimates for that year and the outlay for 1999–2000 was 587 crores. Clearly if the funding for the RR (five Division and overall manpower strength of 75,000) by MHA comes within each financial year, Army could save funds for modernization programs. Some 24-odd recommendations were considered at the Army Commanders Conference during presentation of four major in-house studies. 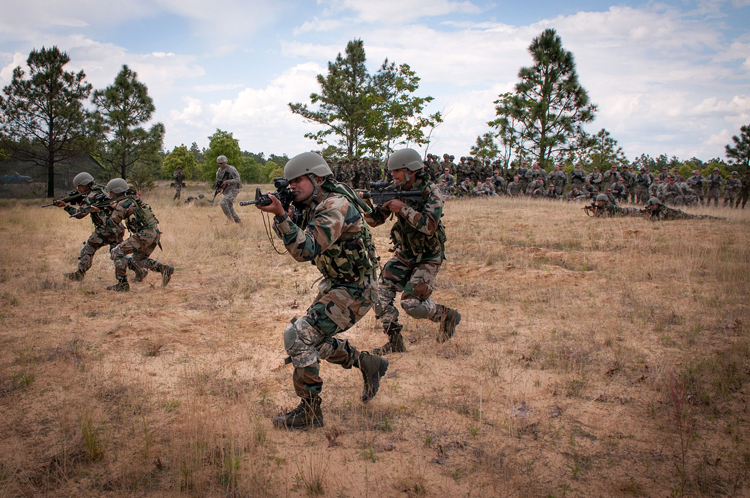 The study on "Re-organisation and Rightsizing of the Indian Army" reviewed operational structures to make them efficient and future-ready for the Western and Northern Borders. The second study "Cadre Review of Officers" (some 39,000 officers) is aimed at incorporating the proposed reorganization. This includes longer tenures for Brigadier and above, faster promotion from Colonel to Brigadier and Brigadiers only in staff appointments. The third study "Reorganization of the Army Headquarters" is aimed at integration. The fourth study on "Review of Terms of Engagement of Rank and File" is aimed at having a younger profile of officers at Colonel and below. The current restructuring is possibly influenced by manpower reduction in PLA and Pakistan Army's GHQ reorganization of 2008, aside from political prodding at home because after 18 months in office the Army Chief has suddenly galvanized into unprecedented hurry into rushing these studies which clearly warranted deeper thought to include issues like: reversion of Military Survey to Directorate General of Information Systems, which earlier was part of DGIS on specific instructions of MoD but quietly moved out due to vested interests despite adverse impact on Army's Tac C³I Project; review manning of organisations like the Army Software Development Centre (ASDC) and Army Cyber Security Establishment (ASCE) by personnel on 3-5 year tenure basis, which is too short, to name few. 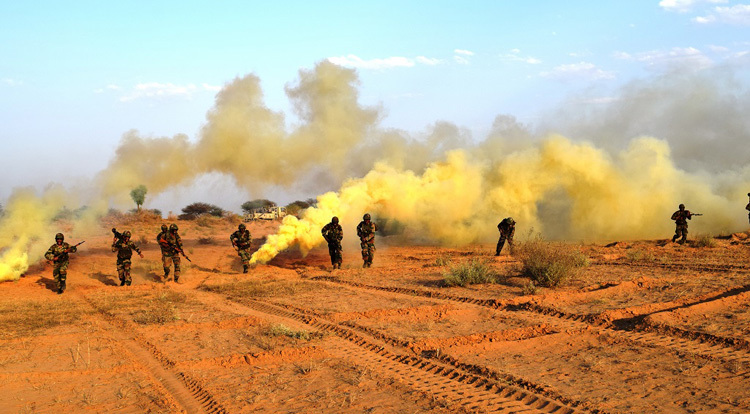 A major decision taken is to form integrated battle groups (IBGs) having mix of infantry, armoured, artillery, signals and engineers, commanded by a Major General and placed directly under the Corps. Individual IBG is to have six battalions or more (about 6,000 men). The concept is to be validated in exercises. The restructuring is envisaged to bring out a younger profile for commanders and make the 1.3-million strong Army 'right-sized' by cutting out redundant posts. The validation of IBGs will be an important step in terms of how they are provided support optimally in fluid battle, compared to the existing organisational setup; IBGs fighting overall integrated battle, not like individual long-range patrols. This must be very deliberate and not rushed through under the "yes minister" syndrome since any fault-lines would imply adversity in perpetuity. Logically, these should have been exercised through simulation, followed by full-fldged trials in field before issuing executive orders. Incidentally, when General K. Sundarji introduced the Reorganized Army Plains Infantry Division (RAPID) in the Army, it was not to reduce manpower but increase the maneuverability of army formations for deeper thrusts and rapid response. With respect to the current restructuring, it has been opined that if all measures under consideration of the four separate studies are implemented, it is expected to reduce manpower by some 100.000 over the next six-seven years and result in saving almost 7,000 crore annually. That ballpark figure of 7000 crore would naturally shrink over the years due multiple factors including inflation but more importantly, the catch is "if all recommendations are implemented", which has never happened with respect of any study because of bureaucratic skullduggery. When the government-appointed Shekatkar Committee submitted its recommendations to MoD, it clearly said if all its recommendations are implemented, 25,000 crore will be saved. But MoD only implemented what suited the bureaucracy. Army Base Workshops were placed directly under MoD after being privatised and posted with civilian defence employees. In addition, Military Farms were taken over by MoD – imported cows, infrastructure and most importantly, defence land. 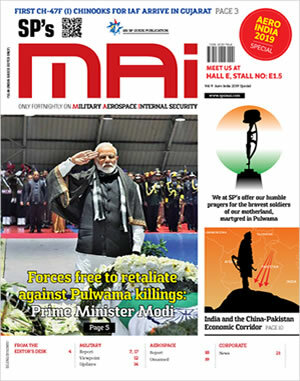 Finally, addressing the Combined Commanders Conference in December 2015, Prime Minister Narendra Modi had said the country had been slow in reforming structures within the armed forces to promote "jointness". But jointness can't come simply by the Army going for IBGs. Ironically, the government so far has moved little on the issue beyond rhetoric; establishing of Chief of Defence Staff, Integrated Theatre Commands and Integrated Functional Commands across the military appear years away, if not by decades. The government has not even mustered the gumption to reorganise the MoD by merging the HQ Integrated Defence Staff (IDS) with it because of the cozy politico-bureaucratic nexus sans professional military expertise, at expense of defence of the country.